Now it’s our turn to tell you a little bit about us. We’d like to introduce you to our wonderful Chief Executive, Baroness Delyth Morgan. 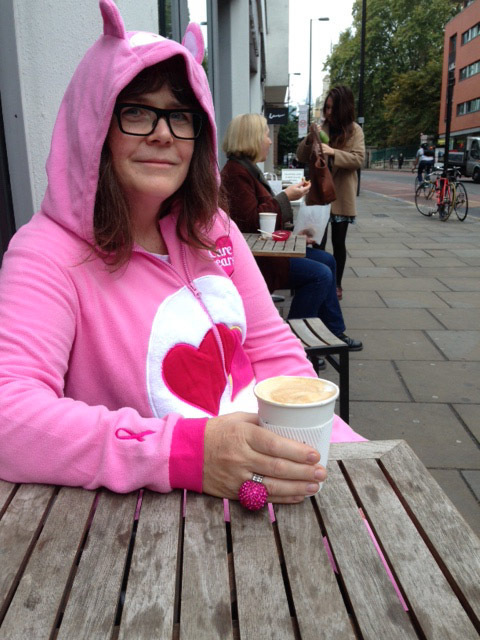 We did a short Q&A with Delyth to find out her favourite thing about wear it pink, why she thinks fundraising is so important and what she’d like to say to all the amazing people like you, who take part in wear it pink. What is your favourite thing about wear it pink? 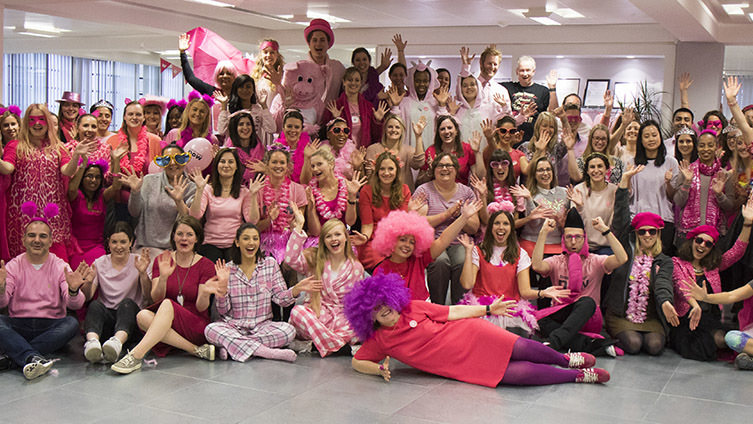 Seeing what everyone gets up to on our twitter feed how original and creative everyone is in every corner of the UK – plus every year for wear it pink our office is full of marvellous cakes and bakes and some wonderful pink costumes. It means so much to me that people all over the country join together to support this event in so many inventive ways. Why is fundraising for wear it pink so important and how does this help us towards our 2050 goal? wear it pink is such an inclusive fundraising event; everyone can join in and do their bit, however large or small to support our life -saving research. If we all act now, by 2050, everyone diagnosed with breast cancer will live and live well, and wear it pink is embodies the collective force that will help us progress towards that 2050 goal. What would you say to everyone taking part in wear it pink this year? Have fun and enjoy the moment - be very proud of what we are all achieving together – there is so much more to do and we have come such a long way - I am really confident that if we all act now we can stop women dying of breast cancer by 2050. To date, what was your favourite wear it pink costume? The year I came into the office on public transport on wear it pink day wearing a pink onesie - I had to get my daughter to come with me to take the pictures! What is a fun pink fact about you? I love pink tea. The first cup of builders tea is an essential part of this CEO’s day, but once it gets to the afternoon it’s over to the pink tea. I love the strawberry, raspberry and cranberry stuff! Baroness Delyth Morgan is the Chief Executive at Breast Cancer Now. She spent 10 years at Breakthrough Breast Cancer, one of the legacy charities that merged to create Breast Cancer Now, before working for government. Delyth served as Children’s Minister for the Department of Children Schools and Families, Minister for Intellectual Property and Quality at the Department of Innovation, Universities and Skills and Government spokesperson for the Department of Work and Pensions in the House of Lords. To this day, Delyth sits in the House of Lords as an independent peer. In 2011, Delyth returned to the field of breast cancer at the helm of Breast Cancer Campaign, our other legacy charity. Having jointly managed preparations for merger of two charities very close to her heart, Delyth was appointed Chief Executive of the newly merged charity, Breast Cancer Now – officially the UK’s largest breast cancer charity – which launched in June 2015.